How Do I Pay for ClockShark? 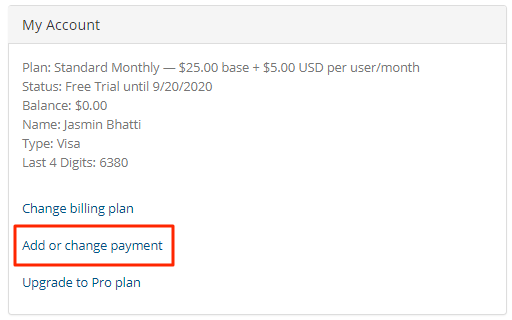 3) Complete the billing information form that opens up in a window and click "Update Payment Method"
If you put your card on file while your account is in trial, when your first invoice posts at the end of the trial, your first payment will be processed then. 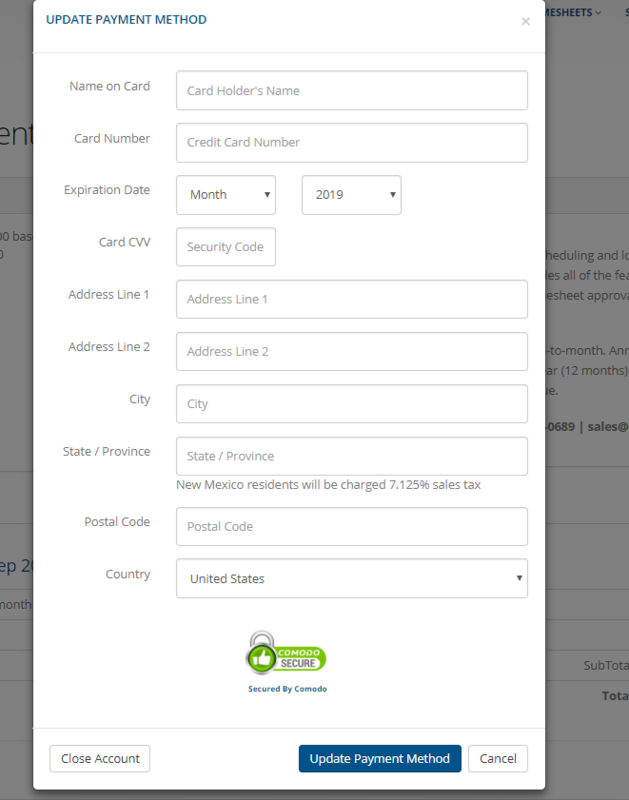 You can find ClockShark pricing information here.